This site-specific installation sees Baker working with personal and historical elements relating to the immigration of British settlers to East London, South Africa. The work acknowledges the silent evidence of the many ships that were wrecked along its coast, as well as evidence of the demise of her father and grandfather's work in the wool and hide industry in that town. Baker looks at various aspects of reconciling misplaced history, in particular the 'invisibilising' status of the returning immigrant, by considering human remains rescued from a wreck at the bottom of the ocean, and the instruction of returning them to the original place of rest, wherever that may be. 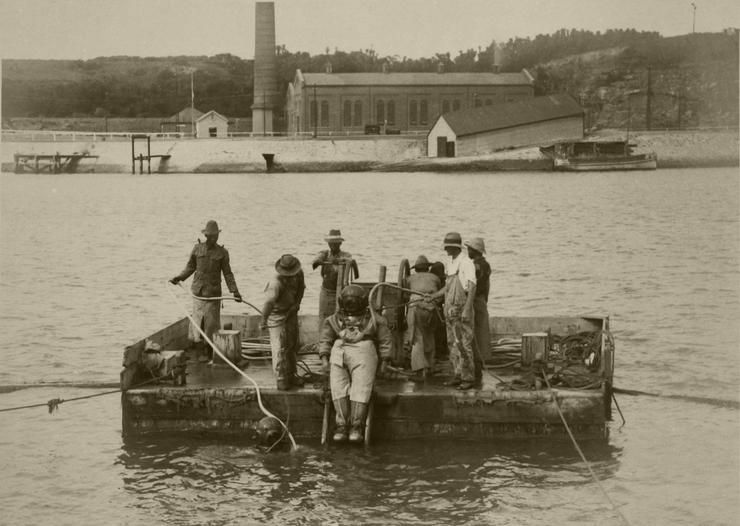 Amongst the salvage, Baker presents a cane-woven human transporter or landing basket, a notable object used during the late 1800s through to the 1930s to hoist immigrants, migrants and tourists safely to and from ships anchored at sea before the development of the Buffalo River Harbour. Referencing ideas concerned with enforced agency in the movement and displacement of people as artefacts of the Colonial African Project, Baker considers the piece as if a recently discovered museum diorama that is in ruin. The basket, having crashed to the bottom of an accumulator tower of a disused power station on the River Thames, is bereft of meaning, left silent and dumb in an unnamed museum. Working with micro-narratives and the tension of the believable by replicating original objects, testimonials and blueprints, the work validates events omitted from maritime, colonial settler, and immigrant history books as well as mainstream media. Baker's working process is defined by an interdisciplinary approach and relational research. She assembles her findings, working with family inventories and established archives, to develop complex visual fragments that become re-enactments of possible narratives within contemporary history.